"When I look at the present direction of our space program, I feel kind of disappointed." Gravitas Ventures has unveiled a trailer for an inspiring new documentary titled Fight for Space, about the Space Race and how things have changed since the 1960s. The doc spends time exploring the "Space Race" of the 1960s/70s that drove us to put a man on the moon, then jumps into modern times and asks tough questions: why did we stop, we aren't we trying again, and what is preventing us from exploring even further? As expected, the doc explains that the "Space Race" was fueled by American's desire to beat the Russians, along with JFK's insistence on making it the moon. I wish we had a space program as active as we did back then, and the only way we can ramp things up is to keep bringing attention to the importance of NASA and space exploration. Fight for Space explores the past, present, and future state of the US Space Program, while making the argument that the exploration of space brings economic and cultural benefits to the nation. This film probes why and how the space program came adrift, will examine our current plans and asks, why don't we have a more ambitious space program and what steps can be taken to fix it? Featuring appearances by Neil DeGrasse Tyson, Jim Lovell, Story Musgrave, Rick Tumlinson, James Muncy, Marcia B. Smith, Bill Nye, John Logsdon, Gene Kranz, as well as Jeff Greason. Fight for Space is directed by newcomer Paul J. Hildebrandt, also a cinematographer now making his directorial debut with this film. 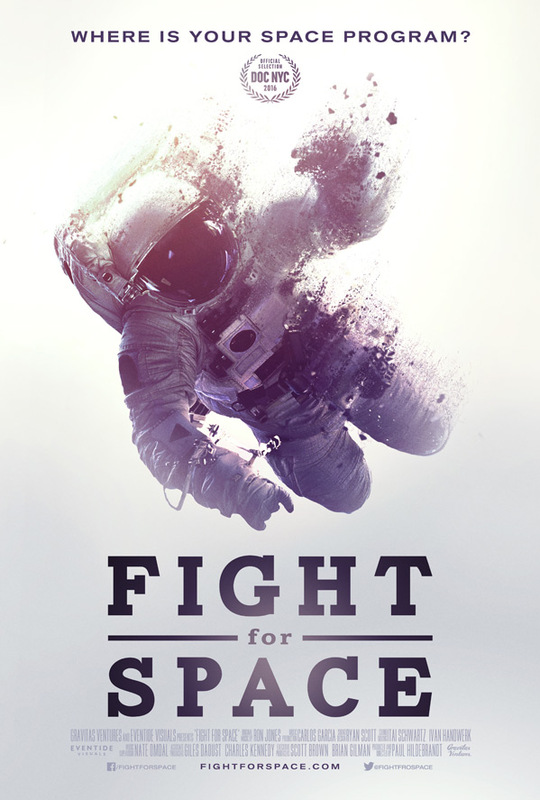 Gravitas Ventures will release Fight for Space in select theaters starting on May 19th coming up soon. Who else is into this?